The Guadalupe River Park Conservancy invites you to their Adult Birdhouse Workshop – Successful Backyard Birdhouses – on February 7, 2015. 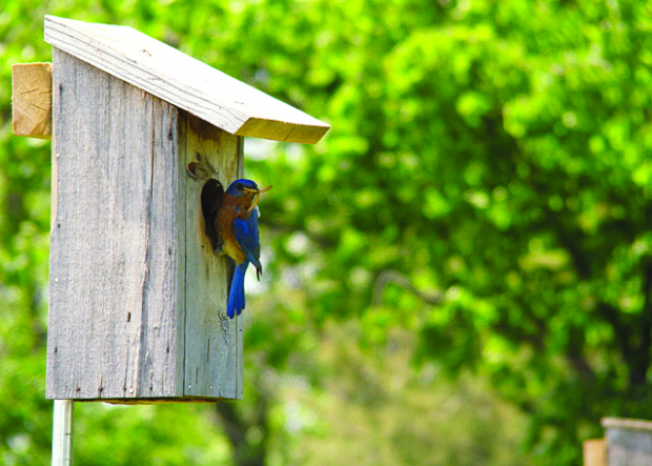 Take this wonderful opportunity to connect with nature and learn just what it takes to make a birdhouse that will attract beautiful birds for your viewing. Mike Azevedo, County Coordinator for Santa Clara Valley Audubon Society’s Cavity Nester Recovery Program, will share his expertise in building a successful birdhouse. From the location of your residence, to the layout of your garden or patio, to the birdhouse’s design and size, Mike will cover all aspects you need to know to build the perfect birdhouse. Mike will also share the efforts of the Audubon Society and others in the community to restore bird populations through cavity nesting programs. These programs establish special bird boxes throughout the wildlife corridors that run through San Jose—in backyards, parks, cemeteries, open space preserves, and even at the Guadalupe River Park.